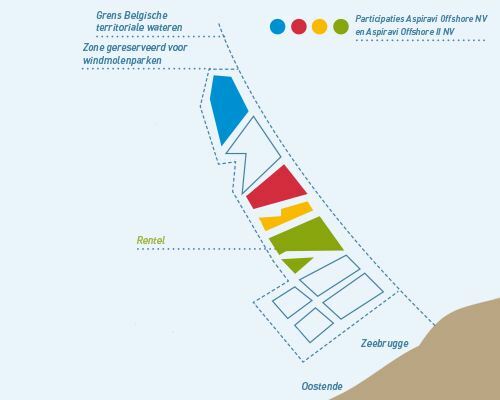 The Rentel project - located 40 kilometers north of Ostend - will be the fifth offshore wind project in the Belgian North Sea. This new offshore power station will consist of 42 turbines and will have a total installed capacity of 309 MW. The total investment is 1,1 billion euros. The new wind turbines will be the largest thus far installed in the Belgian North Sea and will deliver renewable energy to approximately 285.000 households. 02/09/2018: Today 41 of the 42 wind turbines of the new offshore wind farm Rentel, are already connected. 38 machines produce already green energy, with an installed capacity of 280 MW. All 42 turbines will produce green energy by mid September for about 300.000 families! The total installed capacity of the wind farm will be 309 MW. 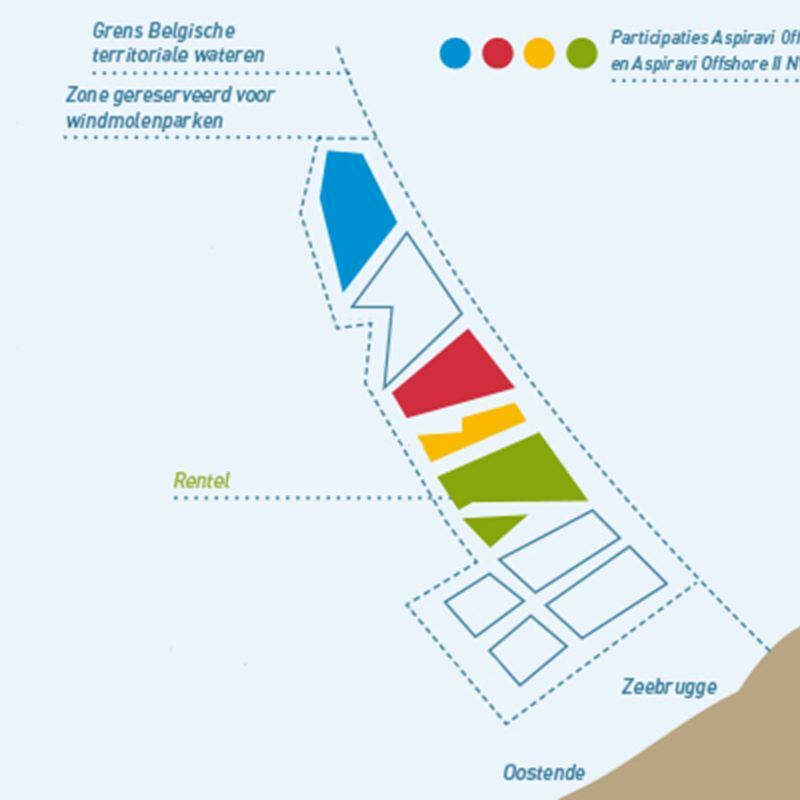 05/06/2018: The construction of the new Rentel wind farm in the North Sea, in front of the coast of Zeebruges, is going well. 11 of the 42 planned turbines have been installed and connected. 6 of them already produce green energy, good for about 44 MW power. In time, Rentel will have an installed power capacity of 309 MW and will produce green energy for about 300,000 families. 09/05/2018: Turbine B3, one of the 42 planned Siemens turbines, induced 17MW of green energy this morning. The individual power of the turbines is 7,35 MW. In time, Rentel will have an installed power of 309 MW and will be able to produce green energy for 300.000 families. 24/09/2017: The final and last foundation was installed. 04/10/2016: The construction of the project will start: the offshore works in spring 2017 and the first power is expected to be injected in the Belgian grid mid-2018. The power station will be fully operational by the end of 2018. ​03/10/2016: Read here the press release about the financial close of the 309 MW offshore wind project.